Original Ricola Natural Herb Cough Drops are made today just as they were in the 1930's using the highest quality natural herbs cultivated in Swiss alpine areas to ensure optimum taste and effectiveness. Herbs have been used around the world for centuries. 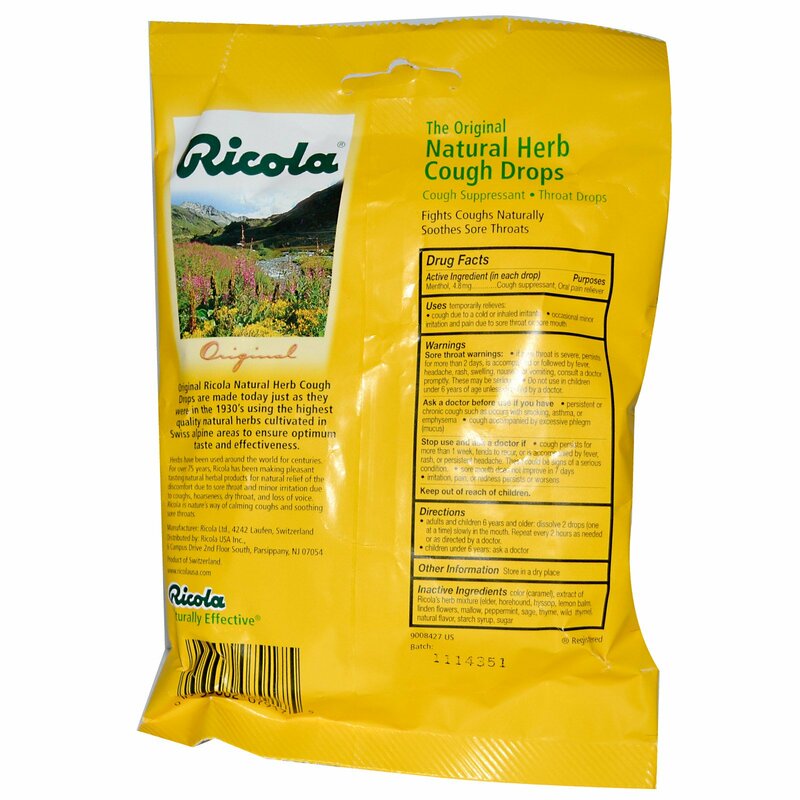 For over 75 years, Ricola has been making pleasant tasting natural herbal products for natural relief of the discomfort due to sore throat and minor irritation due to coughs, hoarseness, dry throat and loss of voice. 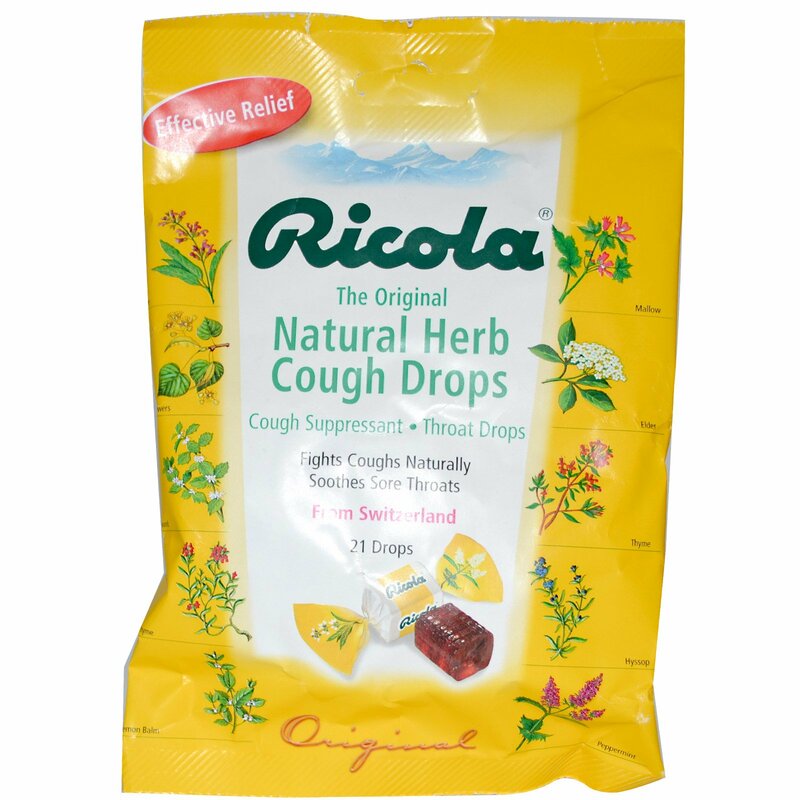 Ricola is nature's way of calming coughs and soothing sore throats. Adult and children 6 years and older: Dissolve 2 drops (one at a time) slowly in the mouth. Repeat every 2 hours as needed or as directed by a doctor. If sore throat is severe, persists for more than 2 days, is accompanied or followed by fever, headache, rash, swelling, nausea or vomiting, consult a doctor promptly. These may be serious.